Have you ever heard of mindmapping? Well, Donna Potter Phillips made a presentation at our March 2008 General Meeting of--what was for many--some new information on coming up with ideas for figuring out new avenues of researching brick walls and solving some genealogical puzzles using this fabulous technique. Mindmapping helps you brainstorm, organize, manage, and track your ideas, and all you need is a piece of paper and a pen or pencil! Most of us really don't think linearly (in a straight line; logical, ordered thinking), but instead have disconnected ideas bouncing around in our heads. Mind Mapping helps organize all these scattered thoughts and put them into a logical pattern that can be very useful. I first discovered mindmapping when I began to work for the local school district and noticed that elementary teachers were modeling it to their young students when teaching writing skills. If third- and fourth-graders can do this, so can you! Donna included a handout with her presentation, called "The Magic of Mindmapping" by Lori Gardner. I'm sure you could contact Donna (look her up in the member directory) to get a copy. Here is a link to a blog Lori recommends with a post about mindmapping with links to further resources. The next general meeting will be held Saturday, April 5th in the first floor meeting rooms of the downtown branch of the Spokane Public Library (906 W. Main). Duane Broyles of the Fairmount Memorial Association will be speaking on "Cemeteries: Yesterday and Today." This meeting is FREE to the general public. Coffee, Cookies, and Conversation begin at 12:30, followed by the business session at 1:00. Mr. Broyles's presentation will begin at 1:30. Paid parking is available in the library basement accessed on Spokane Falls Blvd. and across Lincoln St. in River Park Square. A skywalk to the second floor of the library is accessible from River Park Square. She listed a variety of terms used in old European village names. For instance, "juxtz" means "next to" and often referred to a river which was used to distinguish between two places with the same name. Wisconsin had a lot of Belgian immigrants, and so their state library has a lot of Belgian resources. Norway and Denmark have free sites on the Internet with census and parish records. Bette has listed her syllabus online at her website here for a limited time only! I encourage you to visit and then print up her syllabus for future reference. The next computer class will be presented by Donna Potter Phillips on "Ancestry.com - Extended" on Saturday, April 19th. If you are interested in signing up, please contact me, Miriam Robbins Midkiff, at the e-mail address listed in the previous paragraph, or see our member directory for my telephone number. Currently, there are some spots available during the 11:30 AM - 12:30 PM and the 1:30 - 2:30 PM sessions. You must be a current EWGS member to attend. 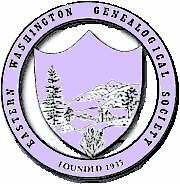 If you are interested in joining EWGS, please go to our website here and download the membership application. In case you were out of town and didn't hear: the February 2008 General Meeting was canceled due to inclement weather. The presentation by Pat Bayonne-Johnson on Tracing African-American Roots has been rescheduled for May 3rd. Since the current political broohaha has included the bit that Senator John McCain was born to a Naval officer father serving in the U.S. territory of the Panama Canal Zone (and so is he qualified to be president under our Constitution? ), I got to thinking about records from this area. Robert Ellis wrote a dandy piece in Prologue, Fall 2007, Vol. 39, No. 3 (accessible from the National Archives website). He stated that according to the 1912 census of the Panama Canal zone that the population was 62,000 and 36,000 were unmarried men. Some 40 nationalities were listed. That's a lot of ancestors, I thought. Records of the Panama Canal Zone (Record Group 185) might contain genealogical information as they are the district court records (which is Record Group 21). Ellis also explained that court records are a good source for this place and this time for grievances and problems then, just like today, had to be dealt with. This business resulted in criminal files and civil files. One interesting database Ellis mentioned is the Index to the Gorgas Hospital Mortuary Registers, 1906-1991, which contains 26,213 names of U.S. military personnel and civilian employees. The Prologue article was eight pages long and if you have an ancestor who disappeared in the 1904-1914 decade, perhaps he went to make his fortune digging the Panama Canal. In the March/April 2008 Everton's Genealogical Helper is an small article titled "Washington State Auditor Recording Fees Bump Up to Help Fund the Heritage Center Project" On January 1, 2008 went up $2 to help pay for the new Heritage Center project, which is designed to hold the state archives, the state library, and other offices on the Capitol Campus. The important part of this is that RECORDING fees are going up, but genealogists seldom do recording, they want photocopies. In the Spokane Courthouse the Auditors office still charges $1 a page ($3 certified) for copies.